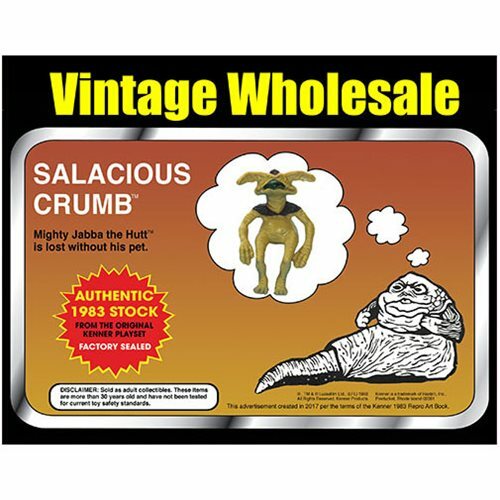 Mighty Jabba the Hutt is lost without his pet! 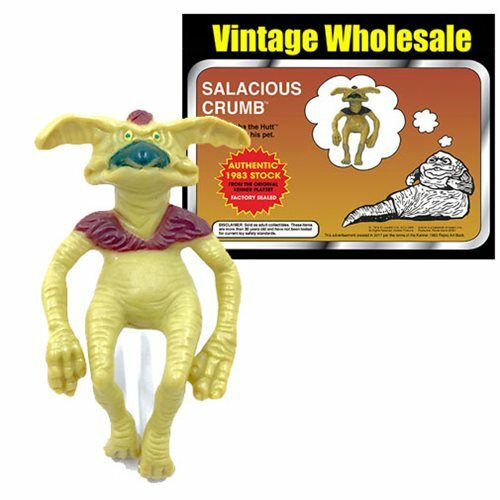 Previously released for the 1983 Jabba the Hutt Kenner playset (sold separately), fans can enjoy a bit of nostalgia with this Salacious Crumb Action Figure. 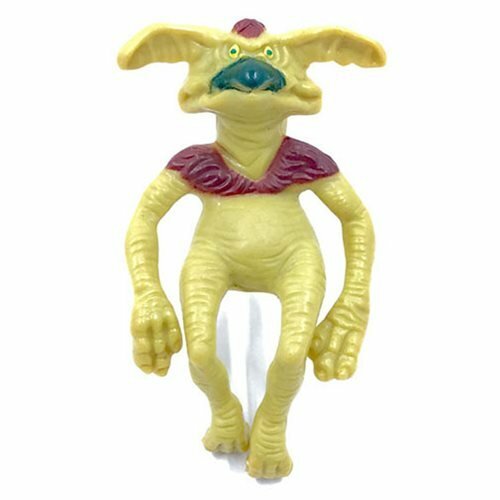 Each original figure is sealed in factory bags and comes from the original production of the Kenner playset. Grab yours today before they are gone forever! Measures about 2 1/2-inches tall.